I mention this site on my other blog so here is the turnaround. 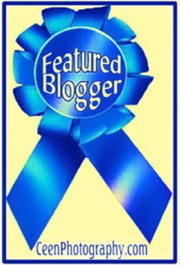 I am also the blog owner and writer for http://www.tessacandoit.com And 4 of my articles have been published on http://www.ibpf.org which is International Bipolar Foundation. My first time here to the Bench Series. My dad got my mom a memorialization bench in a nice park. A close-up glance at the “In Loving Memory” tag. RIP mom! RonovanWrites here! Sing of Cheer by Teresa Smeigh December 2015 Sing, sing, sing of cheer. The carols abound with joy! The day Christ was born! Cee’s Odd Ball Photo Challenge: 2015 Week #51 Sara and her new bedding. She plays and sleeps nestled in the plastic bag. Writers Quote -Wednesday & BeWoW I love the sound of bells playing on churches. They are such a beautiful sound. It is actually the best part of Christmas for me and I wish man would heed their beautiful words.